Reaching, engaging, and motivating a diverse, far-flung body of 600,000+ members can be a challenging, expensive proposition. Visuality’s work with New York State United Teachers is a case study in dynamic, cost-effective, successful member engagement. New York State United Teachers (NYSUT) found itself at a difficult crossroads. Confronted with significant legislative challenges, inadequate member engagement capacity, and deep-pocketed opposition to their priorities and agenda, they needed an innovative, cost-effective strategy to both respond to immediate emerging crises and to build member engagement capacity for years to come. Visuality worked with NYSUT to design and implement a unique, dynamic online ecosystem of tools and platforms that would cultivate and engage an ever-growing community of netroots activist members, that would provide the infrastructure for rapid member engagement and action, and that would complement traditional and new media advocacy efforts to support their members, priorities, and goals. 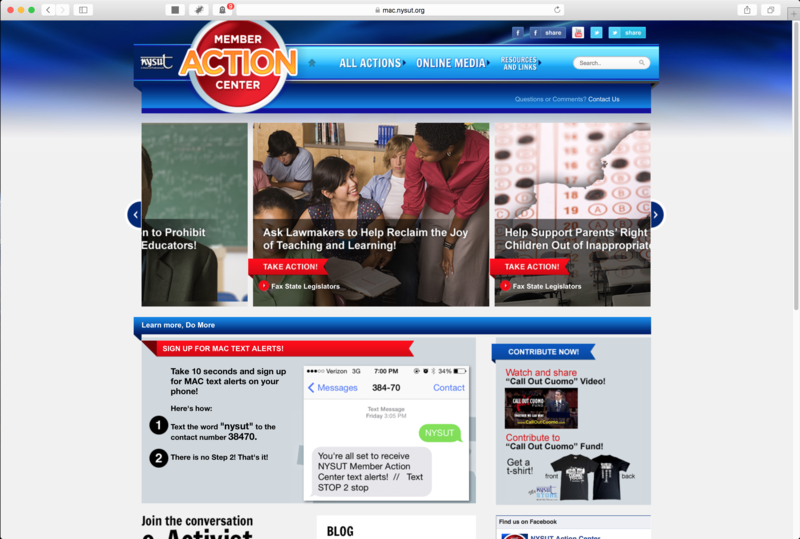 The NYSUT Member Action Center (MAC) was designed specifically for ease of use, to allow for specific issue focus, and to remove barriers to action. 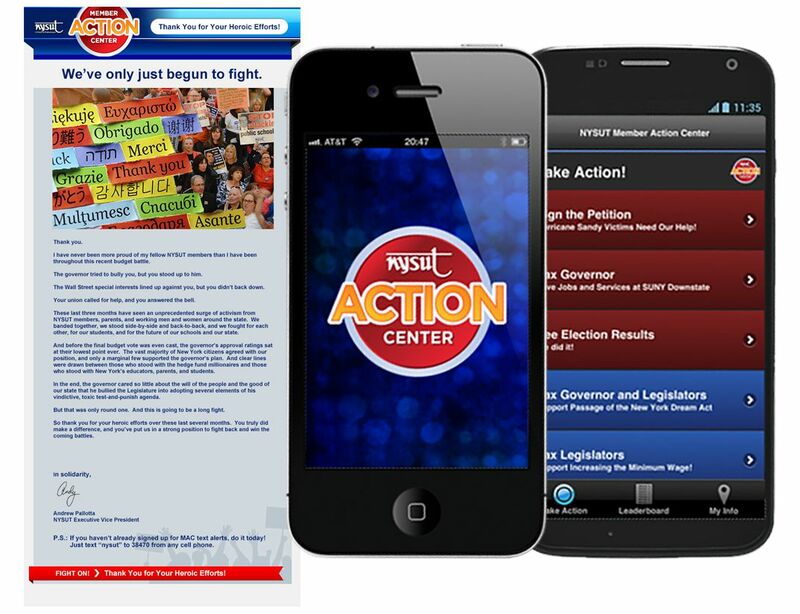 Action-specific landing pages and one-click technology allow NYSUT to rapidly address emerging issues and facilitate mass member action on urgent timelines. And the member engagement capacity cultivated across the rest of NYSUT’s online ecosystem provides a ready, experienced virtual army of e-Activists that can be deployed as issues arise. A dedicated social community of highly-engaged, passionate members and natural allies has been carefully cultivated using multiple strategies. From organic tactics to targeted marketing, the strategic growth of this community of activists provides “free” capacity to echo association messages, to rapidly deploy action alerts, and to provide members with a natural outlet to engage with their association and to advocate for the specific issues that matter most to them. Aggressive cultivation of NYSUT’s social communities has resulted in radical expansion of its social capacity, more than 1200%! In addition to the rapid growth of its social capacity, the NYSUT strategy has included cultivation of additional capacity that allows the association to reach members through multiple platforms and in ways that accommodate their individual preferences and schedules. A one-click take action smartphone app. A text club. An e-Activist eblast list. 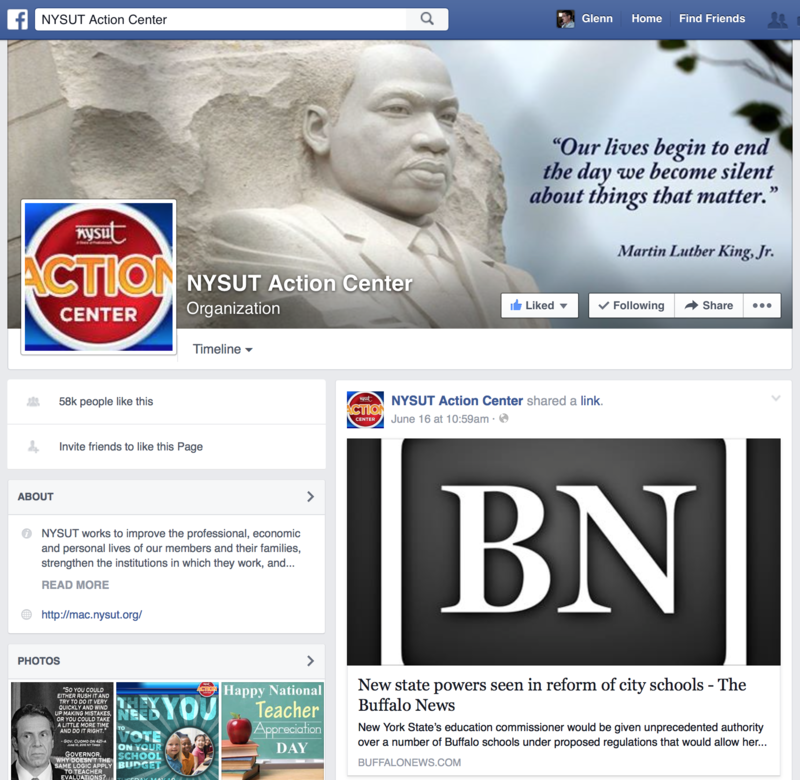 Together with their social communities, this action alert capacity helps drive mass traffic to the NYSUT MAC to take immediate action whenever and wherever members may be. The NYSUT strategy recognizes and embraces the idea that technology is just a tool, but content is king. As a result, its ongoing engagement strategy has been built around strong, focused messaging; engaging creatives; and content that is meaningful to members. From sharable social content like Web videos, posters, and other social graphics to in-depth whitepapers and analysis of emerging issues to creative, fun ads, good content drives the NYSUT engagement strategy and provides the foundation for everything that they do. 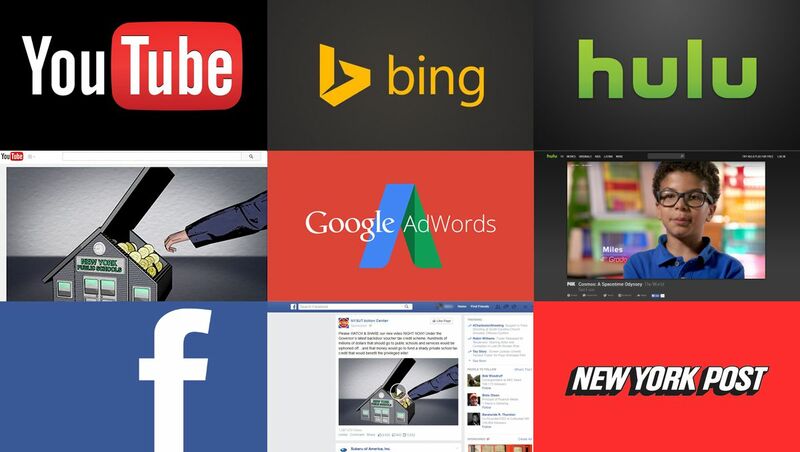 From building capacity to sounding the alarm to managing public opinion on the core issues that their members care most about, targeted, tactical Web advertising has provided NYSUT with a highly cost-effective engagement strategy that can leverage the resources of its entire online ecosystem. Development of those tools and implementation of the strategy bore immediate fruit. Within months, several hundred thousand actions had been converted, and member engagement capacity had been radically increased by tens of thousands of individuals. Millions of action-conversions have been facilitated by the Member Action Center and through the social media platforms. The association’s capacity for e-Activism has grown exponentially. Hundreds of thousands of individuals—potential e-activists—have been drawn regularly to their online ecosystem. Literally millions of potential allies—New York state lawmakers, local officials, educators, parents, voters, etc.—have been touched by some element of NYSUT’s e-activism, social media messages, video messages, emails, etc. Without question, the association’s advocacy infrastructure has been strengthened, its members are more engaged, and its capacity for netroots activism has been transformed.